The next time you’re downtown, eat at one of these local restaurants. A selection from the five-course chef's tasting menu at Teatro. Photograph by Jared Sych. Blink’s warm, inviting decor, nicely spaced tables, fine service and consistently excellent Alberta regional cuisine make it a perfect choice for a business lunch or romantic dinner. 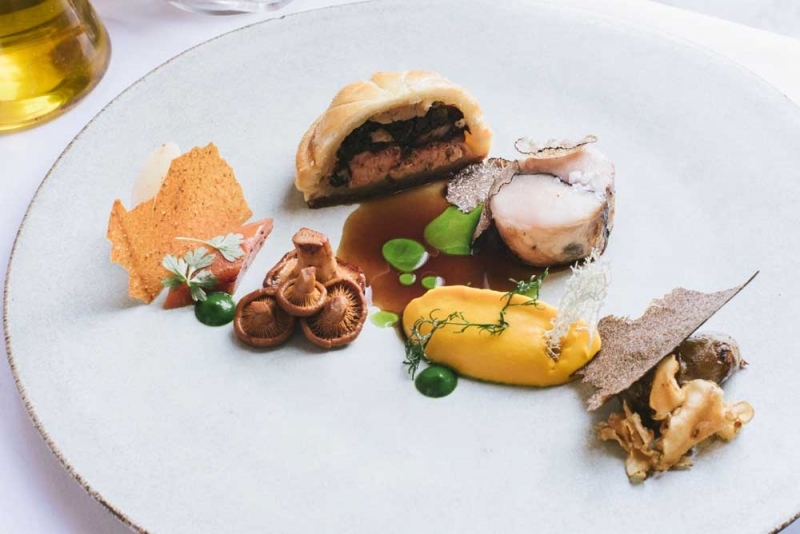 A carnivore’s delight, this modern, stylish roast house has been a favourite among locals and visitors since it opened to critical acclaim in 2010. For a midday meal, order the express lunch and get warm cookies and coffee to go! The elegant, stately dining room provides the perfect backdrop for Teatro’s contemporary Italian menu. Complemented by a massive wine list and very professional servers, lunch or dinner is more than just a meal here; it’s an experience.